The verdict: I would rank this as highly as I do the Trader Joe’s Paneer Tikka Masala. I was honestly not looking forward to trying this as I believe that the microwave does fish an injustice. 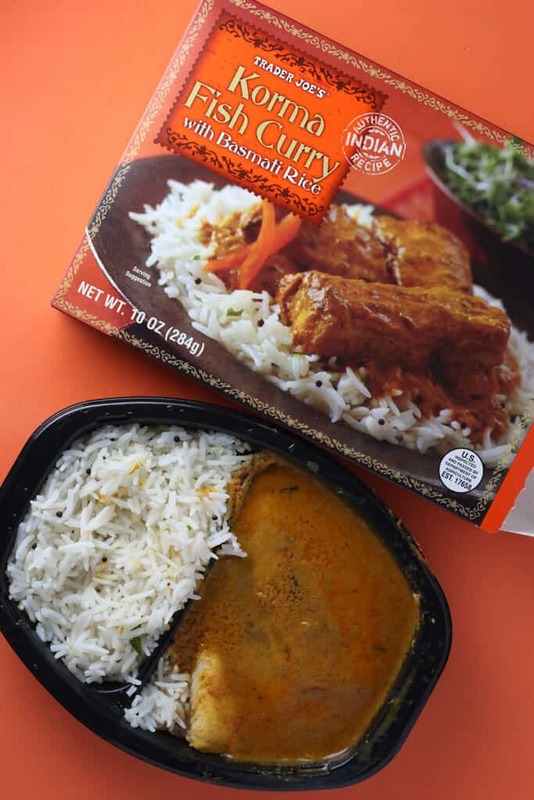 This however worked and is a great addition to the Indian selections available at Trader Joe’s. In terms of heat, this is only a mild heat. It was enjoyable, but won’t slow you down much. The sauce was a nice compliment to the piece of Swai that was included here. The box makes you expect you are getting fish sticks with this. However, upon opening this I found a nicely portioned piece of fish. In the dozens of boxes of this I have since purchase, not once did it look like fish sticks. They were actually nice fillets. I wish they jarred this sauce and sold it separately. 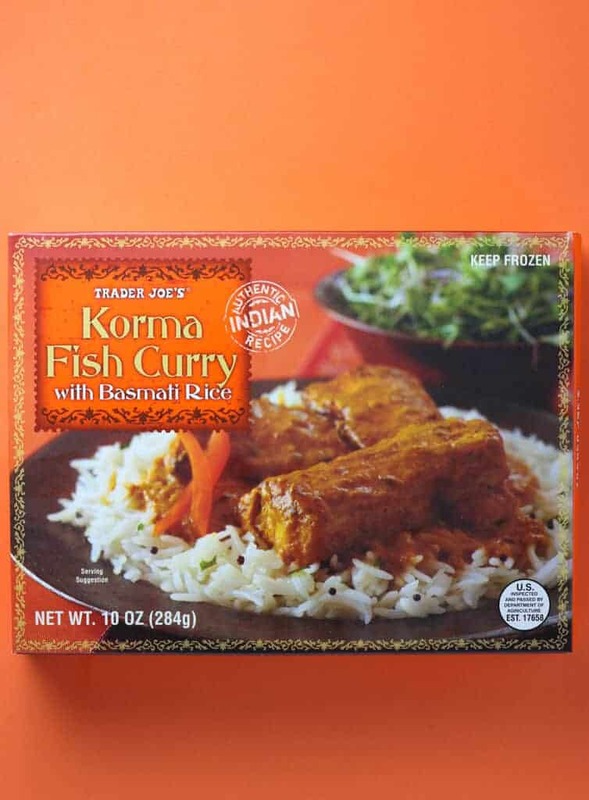 If you enjoy the other Indian selections at Trader Joe’s, then you’ll really like this as long as you like fish. It looked nothing like the picture. I was really expecting some type of nasty fish stick type of dish, but it was a real piece of fish with a good amount of curry sauce which was more than enough to coat the rice. It ate like a meal and didn’t feel overly processed. For $3.49 you are getting a real fish meal. You couldn’t eat that cheap or healthy at McDonalds. You certainly will not consider their fish sandwich “food.” I’ll definitely buy this again and will probably rotate this with the other Masala dishes in their line. After a recent experience with swai, I think I will back off this one. However the fish is absolutely flavorless so buyers don’t have to worry about it tasting fishy. I do like TJ’s other curries though. 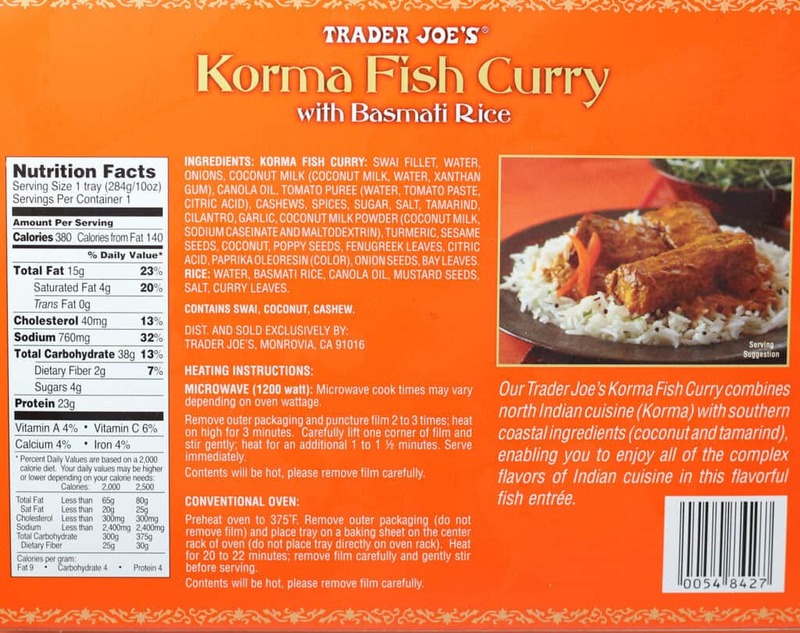 Did you try the TJ fish curry? 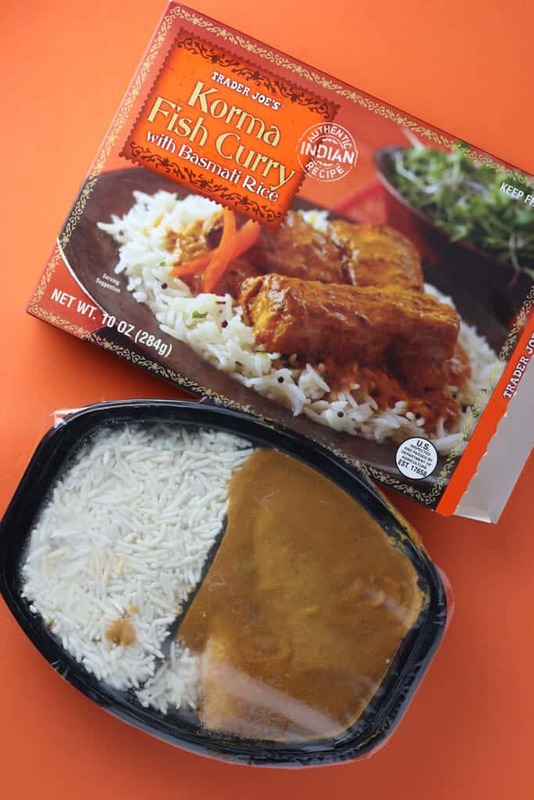 The fish doesn’t have a lot of flavor but is firm and holds up well in the microwave, but the curry that came with the Fish Korma is among the best. What was your experience with Swai? Btw I like your blog, I don’t shop at Trader Joe’s all the time, but it’s good to know a bit about the products before taking the plunge.